Vacation Rentals Door County Wisconsin Bluffwood House is tucked away in the wooded Cherry Bluff, just north of Egg Harbor. Relax in this great home for large families or groups, which sleeps up to 10 people. It has 3 bedrooms, 2 full baths, a very large eat in kitchen, living and dining room with natural fireplace and a bonus great room with TV/DVD, WI-FI, fireplace,and large table and chairs. 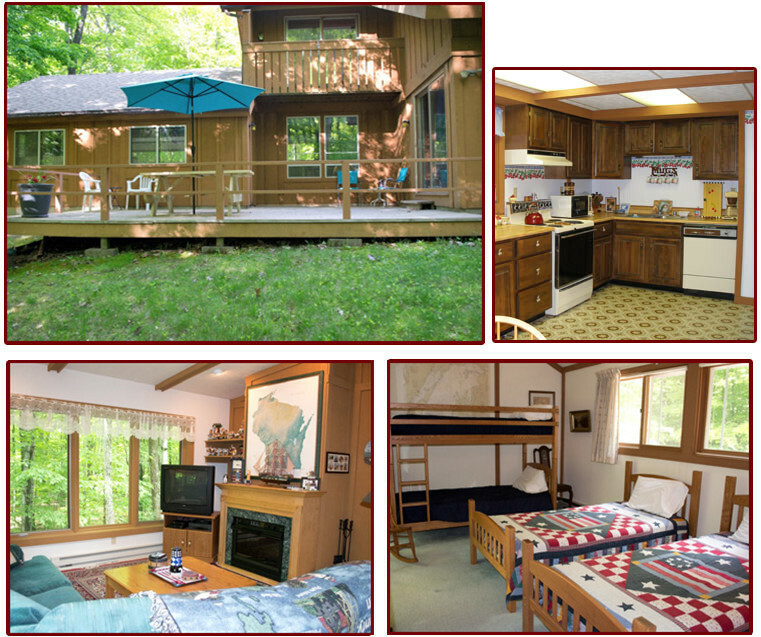 Enjoy a memorable vacation in beautiful Door County vacation rental. This off season the kitchen is being updated with all new appliances and flooring.